I used to throw all of my batteries into a Ziplock baggie until I was informed that it was a fire hazard! This scared me enough to go on a search for an easy and convenient way to store all of the miscellaneous batteries that were crowding my junk drawer. Found it! 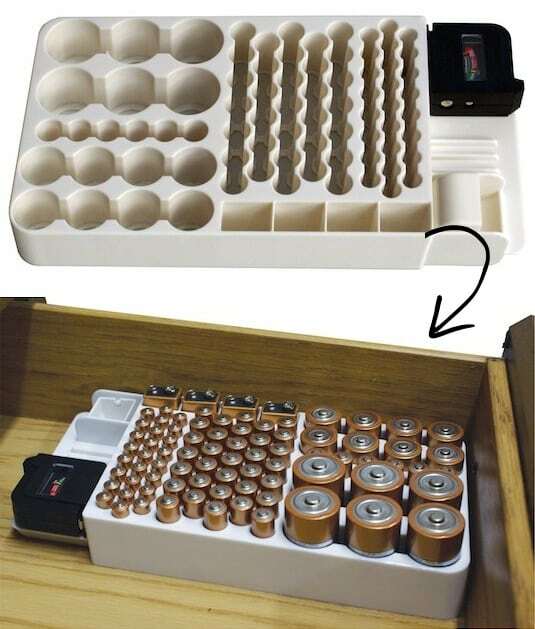 This clever battery organizer also comes with a battery tester so you know which ones to toss and which ones to keep. Pick one up here on Amazon.